Under successive Governments, Labour and Conservative, the NHS has been slowly privatised and had staff numbers reduced. The politicians have failed the NHS and the people of England and Wales. Jeremy Hunt’s announcement in Parliament last Tuesday on the changes he is planning in the wake of the Francis Report into events at Stafford Hospital was remarkable for two things: the complete absence of the key factor that Robert Francis identified as being at the heart of the poor care at the hospital and as clear a case of “giving away the ‘master’-plan” as you will ever see. Or not wish to see, since for all Hunt’s timorousness and petulance it will be an absolute disaster for hundreds of thousands of people. Except for the use of foul language, which is unnecessary, this article does expose Tesco’s hypocrisy and cynicism. The Government has not got a clue about fiscal matters, making people poorer has a detriment of the local economy and eventually the nations economy. This Government and the opposition are driving this country into a hole, it will never recover from. 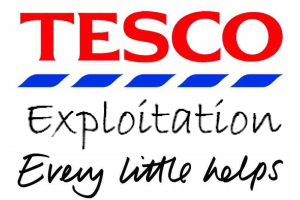 Tesco claim to have called on the DWP to scrap benefit sanctions in a response to a letter asking them about their use of forced, unpaid workers. A report into the USA’s sponsored death squads which operated in Iraq. James Steele: America’s mystery man in Iraq – video | World news | guardian.co.uk. What councils don’t tell you about the enforcement of council tax. Millions of people who do not pay the council tax now will be charged 8.5% to 20% from the 1st April. Millions will not be able to afford it; councils knew that when they made those irrational decisions. 1. That they have the discretion to write off the tax for vulnerable and impoverished people under clause 10 (1) 13A (1) of the Local Government Finance Act 2012. It is necessary for the council tax benefit claimant to write a letter to the council setting out their financial circumstances, all debts, and all relevant information such as health/disability. Payment of the bedroom tax, rent due to the overall benefit tax and the rent due to the housing benefit tax would be relevant. 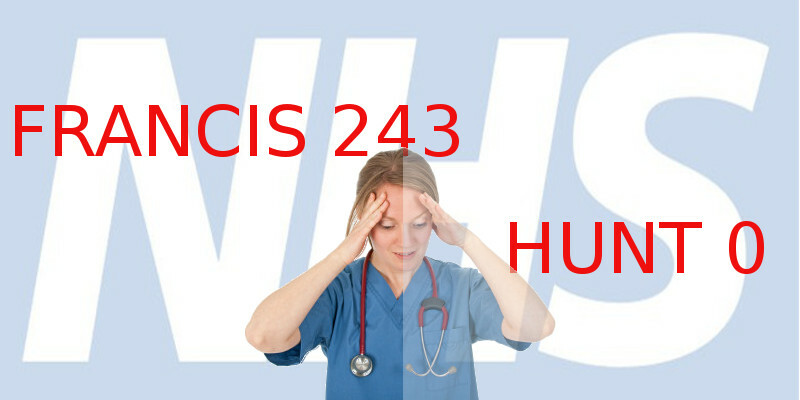 Inquiry behind NHS scandal omitted crucial data – Public Sector IT. – Does New York State need — for its own sake or the environment’s — to be an energy island? A lot of economists, and environmental analysts, would say no. Yes it does need to be an energy island, on economic and environmental grounds, something environmentalists have been calling for. A move away from large centralised power stations, fossil fuelled or nuclear, and to more smaller, localised power sources: Sustainable_community_energy_system. Case studies of Sustainable Woking can be found at: Sustainable Woking case studies. It took just one council official to drive this initiative through back in 1991 and yet Manchester – A Certain Future since its fanfare launch in 2009, has achieved exactly, nothing! It is amazing what can be achieved with some effort and enthusiasm. Can Wind, Water and Sunlight Power New York by 2050? – NYTimes.com. Many of us knew from the out-set, that Manchester – A Certain Future, was nothing but utter ‘Greenwash’, purely wasting tax-payers money. Those of us, who have said as much, have been described as the ‘usual greens’, who cannot see that the council is doing something. The author of this article, as a ‘fresh set of eyes’, puts quite nicely. He did forget to mention, Nottingham and the East Midlands have been doing it since 2000. Whilst Woking since the 1990s, and as was mentioned last week at the launch of Greater Manchester’s Hydrogen Hub, cut the energy consumption by 70%. Where is Manchester City Council’s proof, that they have saved any energy, other than through shutting down front-line services, severely impacting those in need. We just got this amazing comment from a local businessman, who has been involved in the “Manchester A Certain Future” process since last year. We at Manchester Climate Monthly have been asking questions about democracy and “process.” He is asking hard-headed questions about effectiveness. Unfortunately, it is too easy for bullies and perverts to hi-jack social media sites.